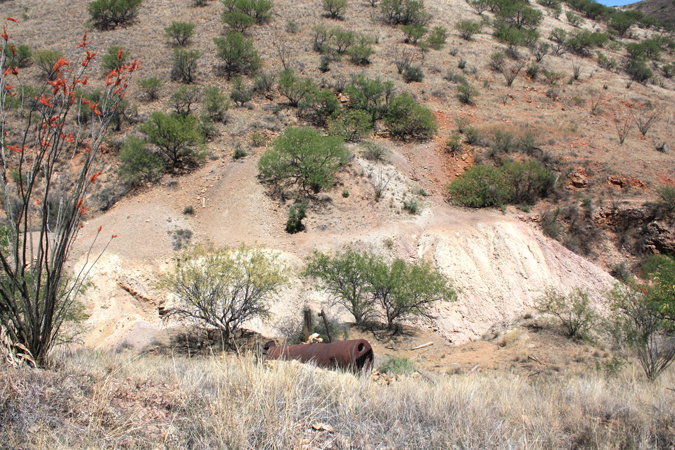 This mine was one of 40 or so mines, or mine groups, that were a part of the Tyndall Mining District in southern Arizona. 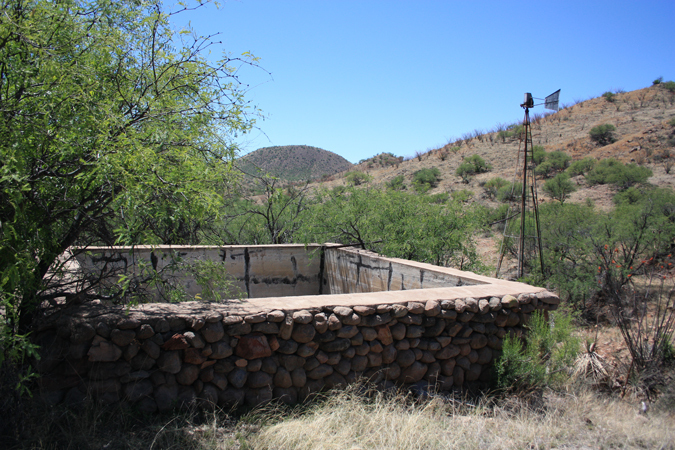 The district, which was located east of Tubac, extended from the high peaks of the Santa Rita Mountains down to the Rio Sonoita(Sonoita Creek). 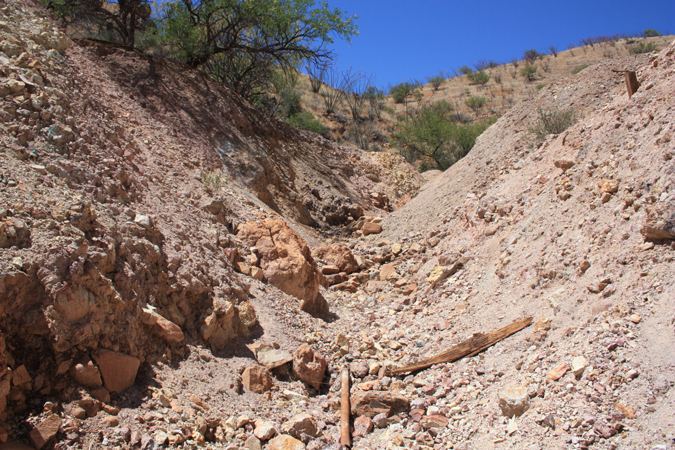 An early USGS bulletin, "The Mineral Deposits of the Santa Rita and Patagonia Mountains", noted that the mine was discovered in the 1870's. The earliest references to the operation, that I have found, were a series of notices that appeared in the Arizona Weekly Citizen in the summer and fall of 1882. 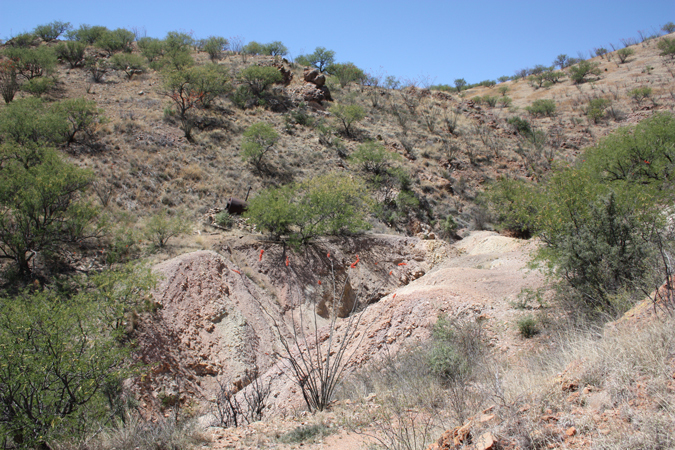 Those public notices announced the application for a patent to the mining claims. 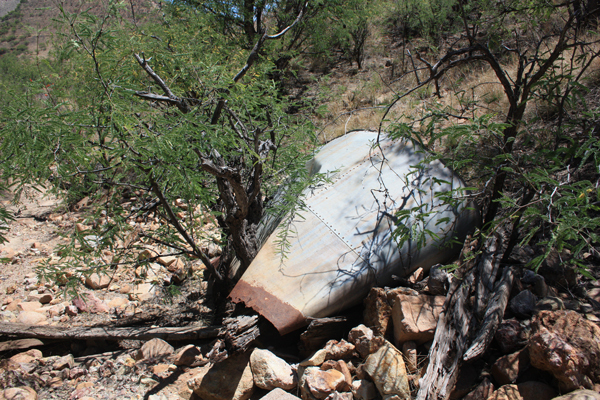 At the time, the area was still in Pima County. Santa Cruz County would not be created until 1899. The metal of interest for the miners was copper, although some gold, lead and silver were also recovered. 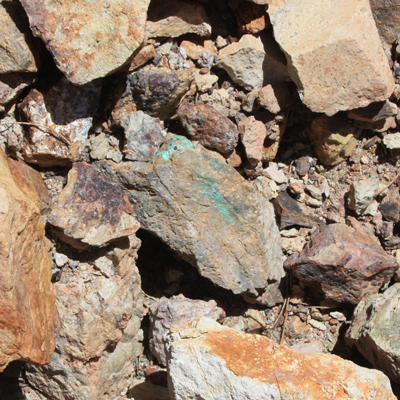 The ore minerals were the colorful malachite, azurite, and chrysacolla. Some chalcocite was also mined. 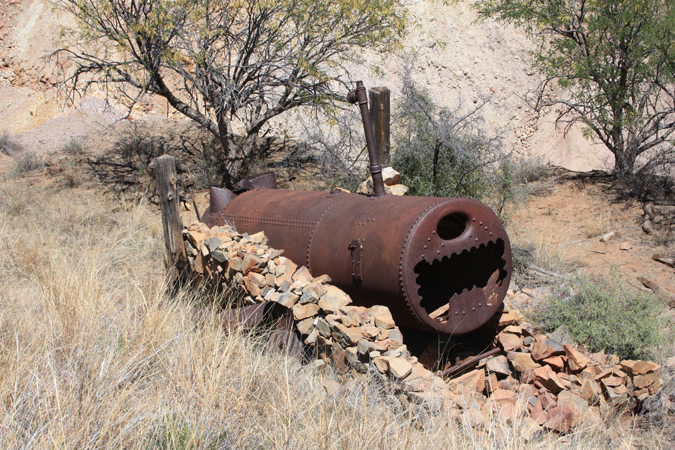 The mine operated intermittently until 1915 or so, with 300 tons of ore reported to have been shipped. 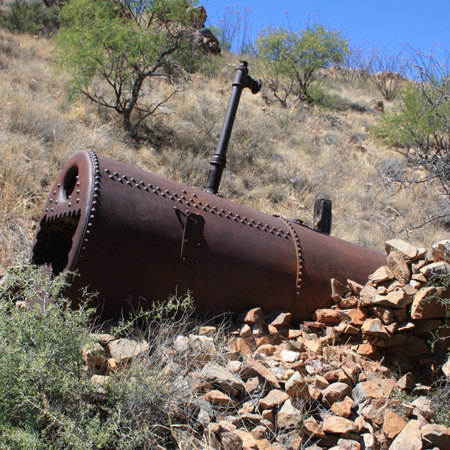 In 1912, the Copper Queen Copper Company from Bisbee is supposed to have been involved in the mine's operation. Shipping was relatively easy. 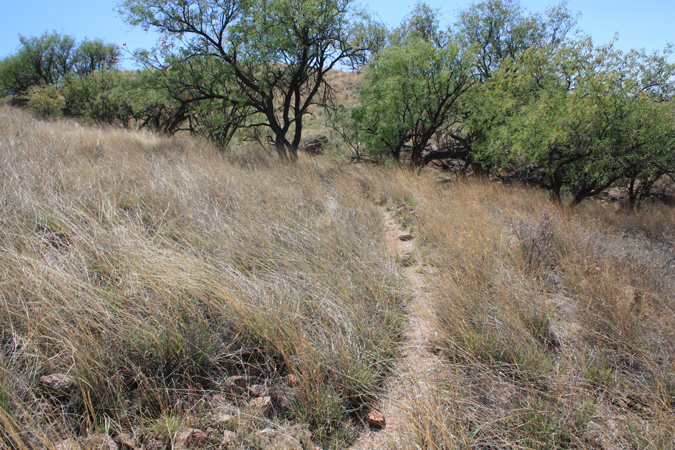 In those days, the Benson to Nogales railroad ran along Sonoita Creek. These are current views of the mine site. 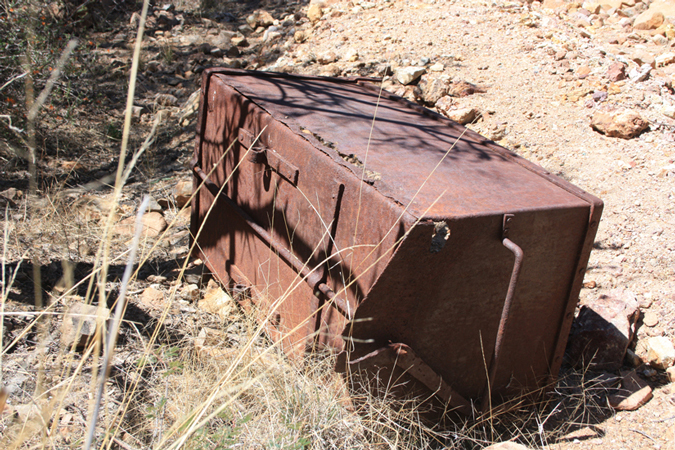 I could not locate any openings to any of the old mine workings. 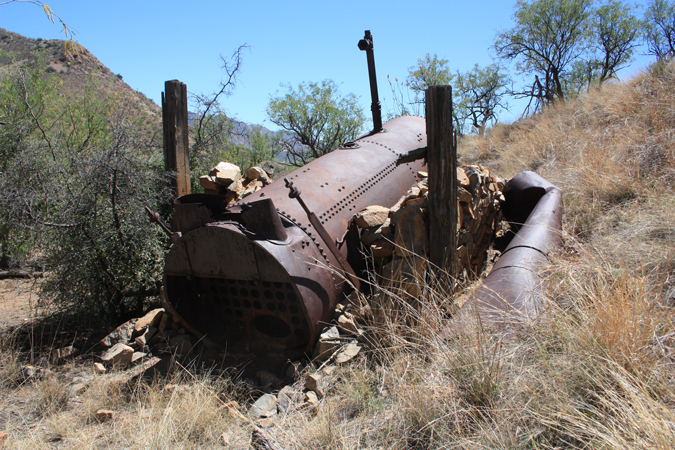 Those were reported to have consisted of "shafts and drifts aggregating about 1000 feet of work...."
The largest relic that remains at the site is the shell of an old boiler. Its flue pipe rests alongside. The boiler "house" that was made from country rock has all but tumbled down. Long strap bolts that once held the structure together are now loose. 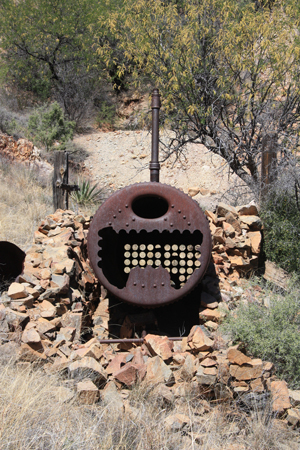 The boiler tubes were likely recycled into pipes or posts somewhere on the nearby ranching operation. 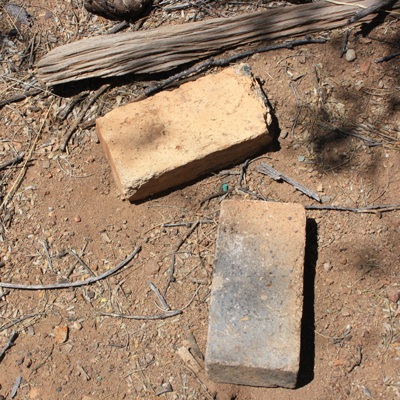 At the firebox end of the boiler, a few firebrick are scattered about. 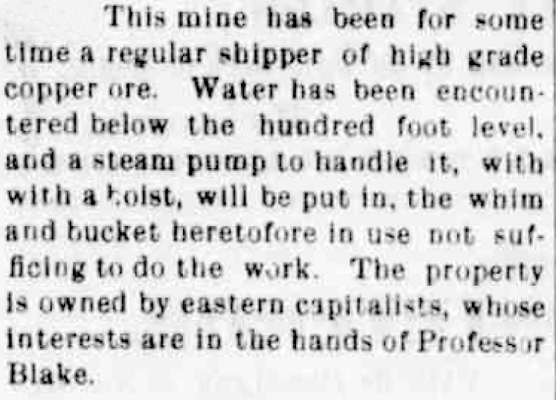 This paragraph, extracted from an article published in 1900, in the "Oasis", a Nogales newspaper, may provide insight into the boiler's history. Professor Blake(William Blake) was a very famous geologist who was the head of the University of Arizona's School of Mines from 1895 to 1905. His name often appears in early mine reports of the era from operations all around the state. He apparently had a personal stake in this mine. 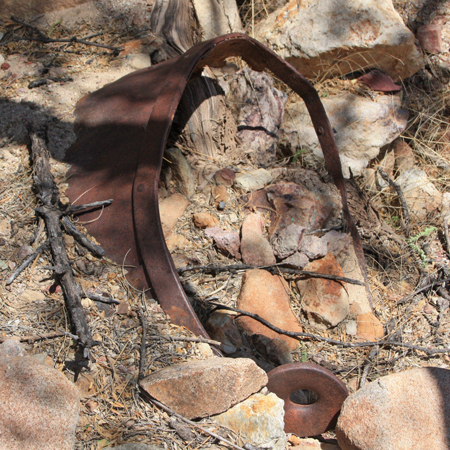 In the drainage below the mine dumps, an old ore bucket is just visible in the wash materials. Was this the bucket described in the article? 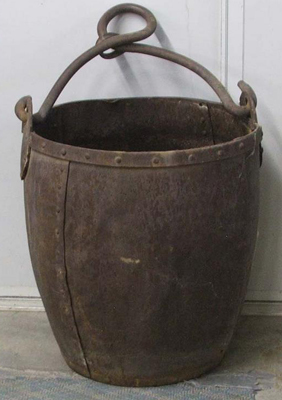 My thoughts are that the buried bucket may have been similar to this one that was recently offered for sale online. 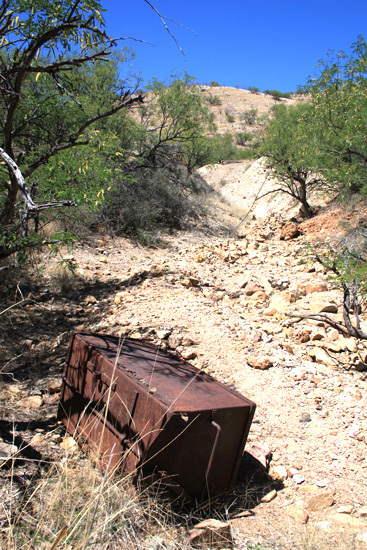 On downstream from the ore bucket is this remnant of an ore car. 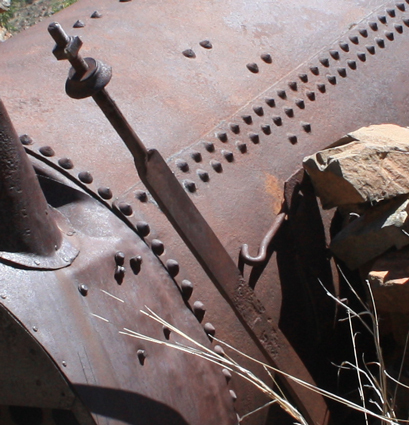 These pieces of lumber and the tank may have once been associated with the mine operation. There were several "platforms" or terraces that had been cleared. Perhaps those were the locations of the miners' tents? I did not see a can, or bottle dump, however. 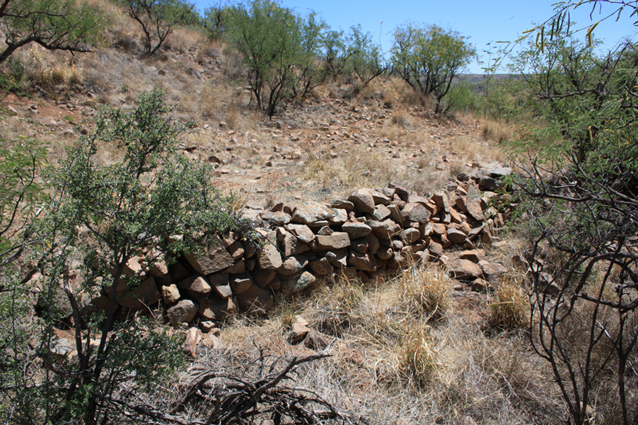 On my walk into the area I had passed several remnants of early ranching activity. I was not familiar with the Samson brand of windmills. It seems that the brand is/was very popular in the midwest. This particular one came from the Zork Hardware Company in El Paso. Does the number "8" represent the diameter of the mill?